With the growing popularity of Munnar, getting away these days seems to be all about interesting and awesome. On the other hand these getaways get the chance for you to look inward and detoxify the mind body and spirit. 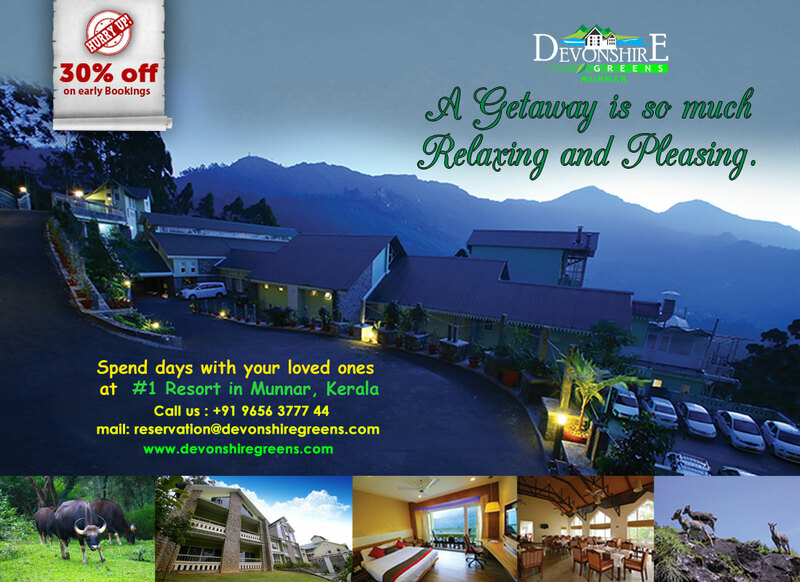 From the breathtaking experience to the hospitality stay that combines with the aspect of luxury and personal wellness, there is something out here for you at the best resort Munnar – the Devonshire Greens. No matter if it’s for weeks or days, the current seasonal offer extends a greatest respite for those who decide on for a getaway to Munnar. Decide to get indulge in the most luxurious resort at Munnar with your dearest ones. Enjoy the secluded beauty of the nature covered with endless ranges of tea plantations, experience the high quality cuisines, indulge in the eco tourism and wild life adventures, relax in style in premium accommodation and take in the wonders of God’s own country – right near you. Guests feel good at this resort that surely takes them to the world of imagination and the magnificent rooms done in tune with the shade of nature acquire a perfect score. Walking with a Sip of tea along the side of tea plantations opens you up the time that brings intimacy with the dearest ones. Be hurry to take your bookings now!